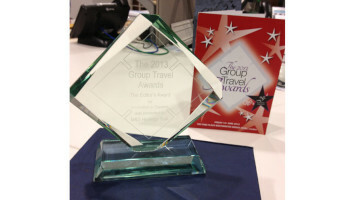 We're over the moon that our M&S Heritage Trail has been recognised nationally for its contribution to tourism after being named Tourism Innovation of 2013 in the annual Group Travel Organiser awards. M&S was named winner at a glittering event on Friday in recognition of the unique way we created the trail by working in partnership with University of Leeds and Leeds City Council. Why not try the Heritage Trail yourself and see why it's so special?